ASCE Region 8 is unique among all ASCE Regions in that we represent the largest geographic area for any region in ASCE in the United States. 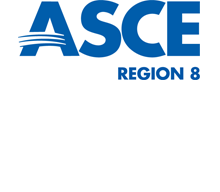 ASCE Region 8 is one of ten geographic regions within the ASCE Society, nine within the United States and one for the international members. Prior to the current geographical make-up of the ASCE Regions, Sections in Region 8 were part of the Pacific Northwest Council and the Pacific Southwest Council. Regions have been organized to provide input to the ASCE Society Board of Direction, facilitate communications, help implement the Society’s Strategic Plan, promote leadership development, support the local geographic units, and improve member service within the Society. Regions may have committees and assemblies to facilitate their purposes. Each Region within ASCE elects a Director. The Director of a Region has two roles within ASCE. First, they serve as the chairperson of the Region Board of Governors. Second, they serve on the ASCE Society Board of Direction. Region Directors are elected by the members of their Regions to serve on the ASCE Society Board of Direction and chair the Region Board of Governors. Each Geographic Region elects a Board of Governors from within the Region. The ASCE Region 8 Board is comprised of seven Governors. Montana, Nevada, Oregon, Seattle, Southern Idaho, Tacoma-Olympia, Utah, and the Western Region of the Canadian Society for Civil Engineering (CSCE) including the Providences of Alberta and British Columbia, Yukon Territory, and the Northwest Territories.